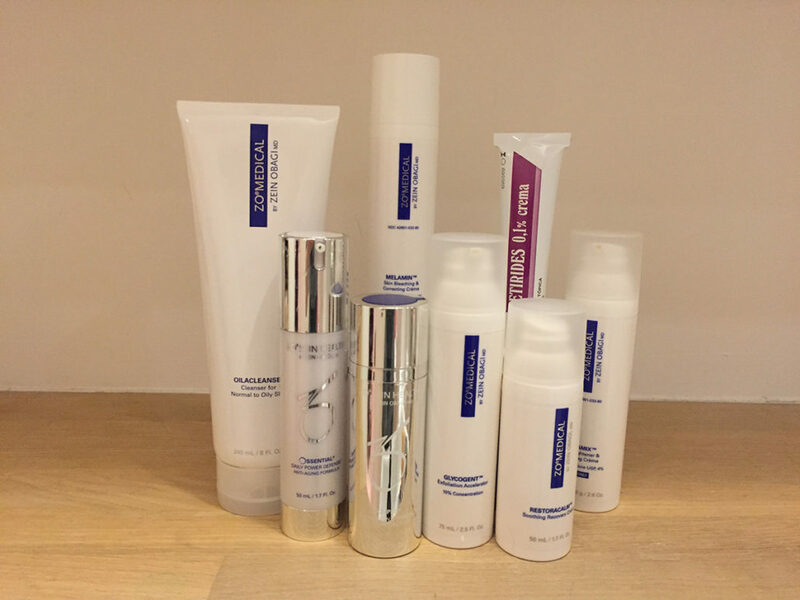 I am getting into the swing of the program: I tend to wake up with small flakes of white peeling skin on my face; I polish these off and apply more product – then SmartTone sunscreen, then buff in a layer of the Glo Minerals mineral powder that my lovely facialist Kate Kerr recommended. This makes the skin-shedding element of the regime entirely manageable. And, to my surprise, I am already being complimented on having a lovely ‘glow’. (Clearly, they can’t see the red patches, viz the photo below). 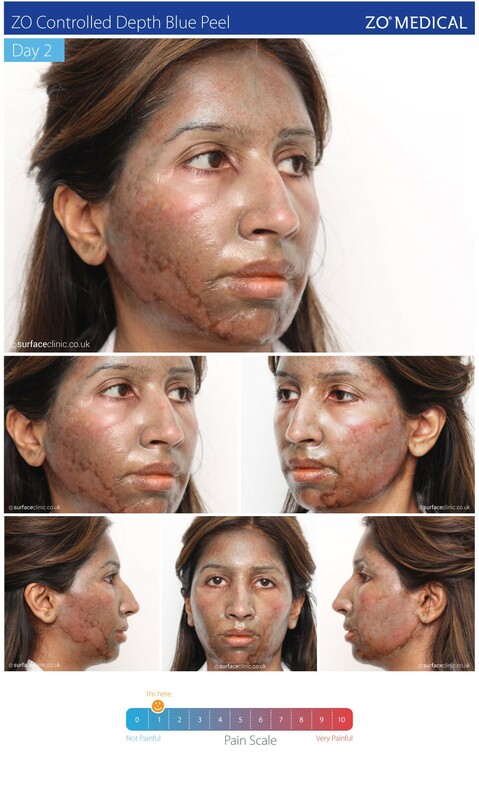 Meanwhile, this week I wanted to share a bit about why I am trusting my complexion to ZO Medical treatments. The line is founded by skin doctor to the stars Dr. Obagi, who has been leading the field in one way or another some 40 years. His passion is to encourage the skin to heal itself: Obagi believes that ‘dry skin’ that ‘needs moisturiser’ or ‘sensitive skin’ is in fact skin whose natural balance has been messed around with. 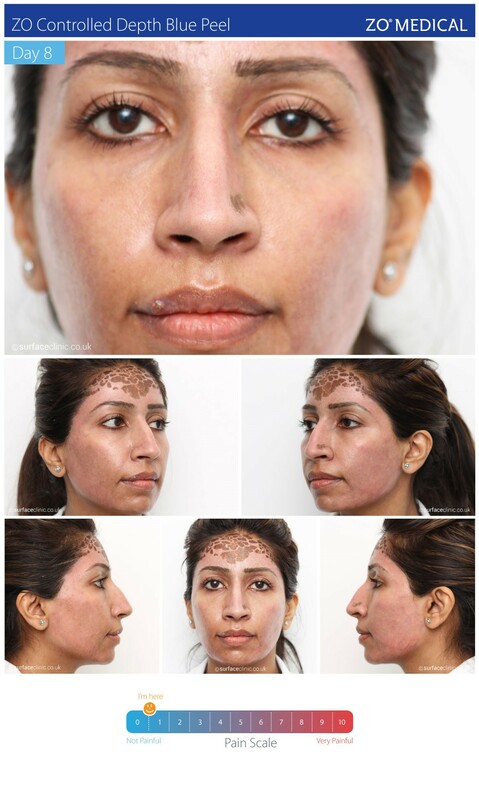 When I first went to see Dr. van Eeden, Obagi’s leading doctor in the UK, he showed me the most incredible before and after pictures from patients using the ZO lines. He also explained the way that cell turnover in the skin slows down with age; how this affects the structure, strength, and resilience of the skin, causing sagging and fine lines. Further that the moisturisers we tend to use on a daily basis may, in fact, be removing moisture from the skin, and weakening it. The central root of Obagi’s approach is, then, to trigger the body’s own capacity for cell renewal. To use treatments and topical products which will wake the skin cells up. To encourage the skin to act like young skin – and to look like young skin. Yet the products are anything but: from his base in LA, Obagi is at the forefront of aesthetic treatments, investigating everything from lasers to peels, and especially bring the brunt of fantastic (and Nobel prize-winning) scientific research into his formulations. His ZO Medical is light years beyond its competitors. And uniquely it has won FDA approval – the gold stamp from the US government to say that it works. For me, working in an industry where even the most famous brands launch products with the flimsiest backing, finding Obagi was a bit like finally seeing a light at the end of the tunnel. Dr. van Eeden assures me that if I go down the path of ZO my skin will no longer flush red in the wind, or need endless layers of oils and creams to feel supple (or simply not tight). It is a tremendously exciting prospect. So it has been an interesting week. Initially, the list of products looked daunting. ZO Medical Oilacleanse; ZO Skin Health Offects Exfoliating Polish; Offects TE-Pads Acne Pore Treatment; ZO Medical Glycogent; Melamin; ZO Skin Health Ossential Daily Power Defense; Tretinoin + Melamix; ZO Skin Health Oclipse Sunscreen + Primer SPF30 or Smart Tone SPF50. ZO Medical Oilacleanse; TE-Pads; Melamin; Ossential Daily Power Defense; Tretinoin + Melamix. Days 1 and 2 my skin looked good with the ZO regime and I learnt that done around teeth cleaning and getting ready, the various stages of cleansing, creams etc. are easy to accomplish. 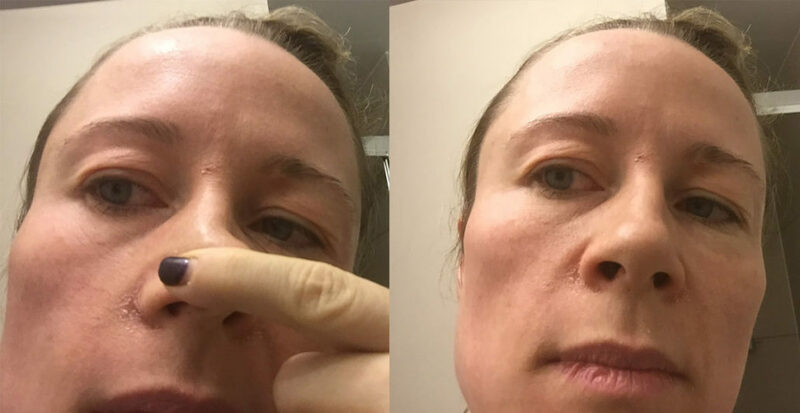 Days 3 and 4 I came out in spots – haven’t done this for years – and I also had a sensation that I was going to have a major outbreak round my nose. The outbreaks are due to the skin starting to rid itself of the build up caused by excess oil and skin cells clogging the pores. The ZO regime works on controlling sebum – a huge enemy of the skin. Day 5 and 6 I realise that in fact I am putting too much product around my nose: the skin there has started to peel vigorously but at least it has stopped feeling so tight and angry. There are also fierce bars of red across the top of my cheeks. 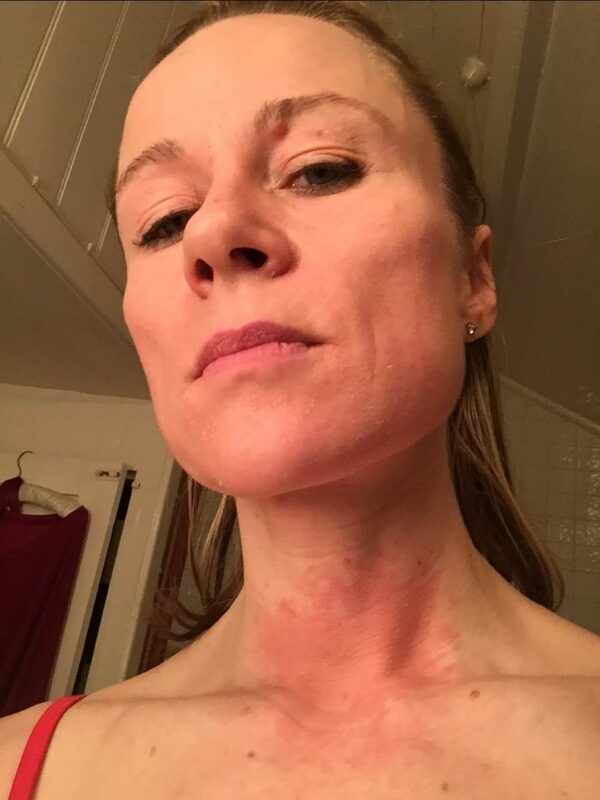 I recall that my fantastic Facialist Kate Kerr suggested I dot the product over my skin for even distribution and then pat rather than rub in – so it moves less – careful application is all! Day 7 still peeling round nose and now very slightly across the rest of my face. Peeling is good, it’s what the regime is supposed to do – get the skin turning over and re-establishing the skin’s barrier function, leading to healthier, happier skin later. My skin’s response is unlike that with any other product range. I am fascinated to learn more of the science behind all this – read on for more next week. I’m in my early 30s, I’ve two small children and less sleep than ever. It shows. 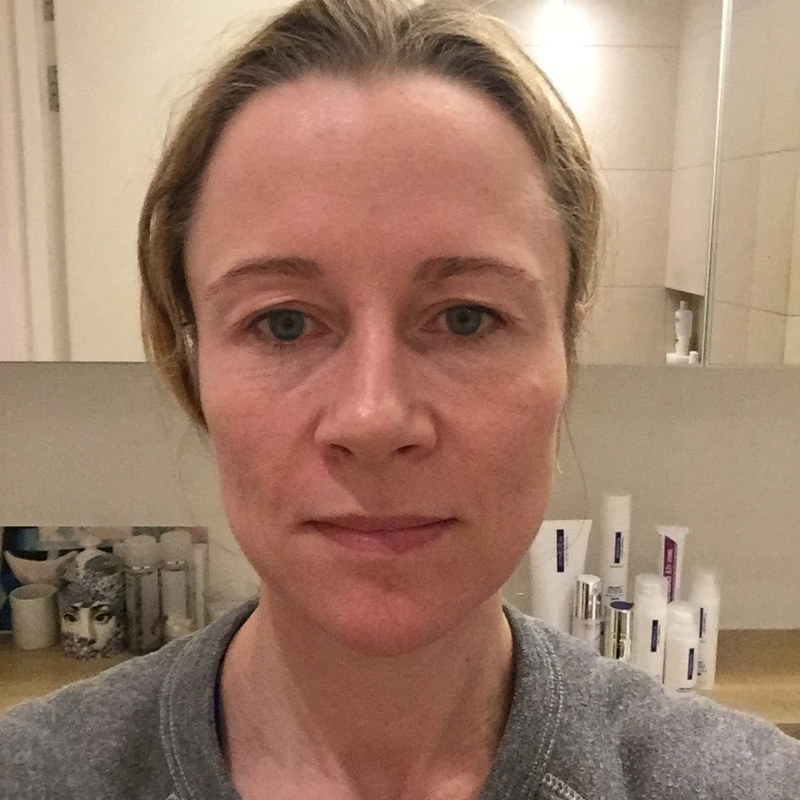 Rather than go gently into the dark, wrinkled years, I went to facialist Kate Kerr to ask her advice: I’ve been a beauty journalist on and off for a decade, and Kate is fantastic. Our conclusion? She recommended I visit Dr. Sam Van Eeden, an acclaimed skin doctor who is qualified to prescribe ZO Medical skin care. Kate and most of London’s best aestheticians work with ZO, a brand that has been around since 2007 but Dr. Zein Obagi, the man behind the brand, has founded ranges since the 70s and continues to develop cutting edge solutions. **I paid full whack to see Dr. Van Eeden and for his prescription products. 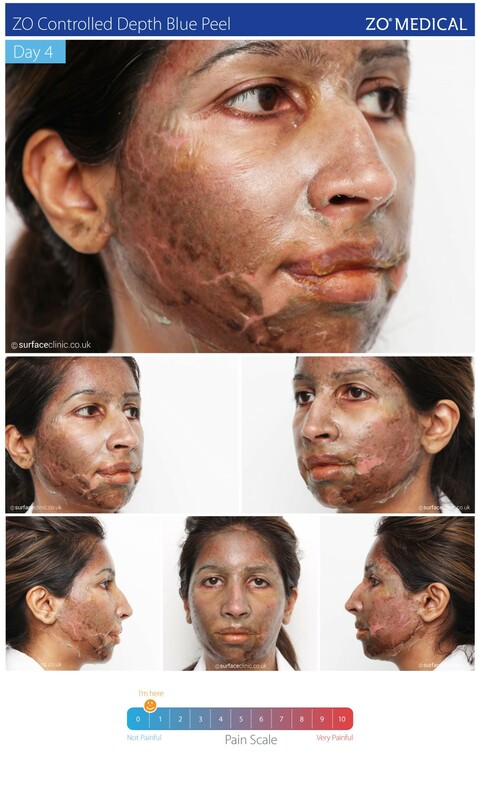 With the support of Wigmore Medical, we are proud to introduce the ZO Controlled Depth Peel to the UK. 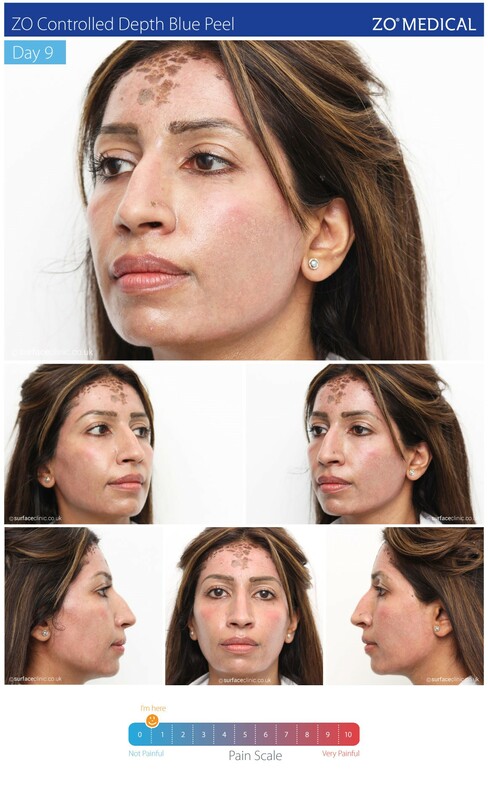 Two clinics have joined forces to bring this Designer Signature Non-Invasive Face Lift treatment to the UK. 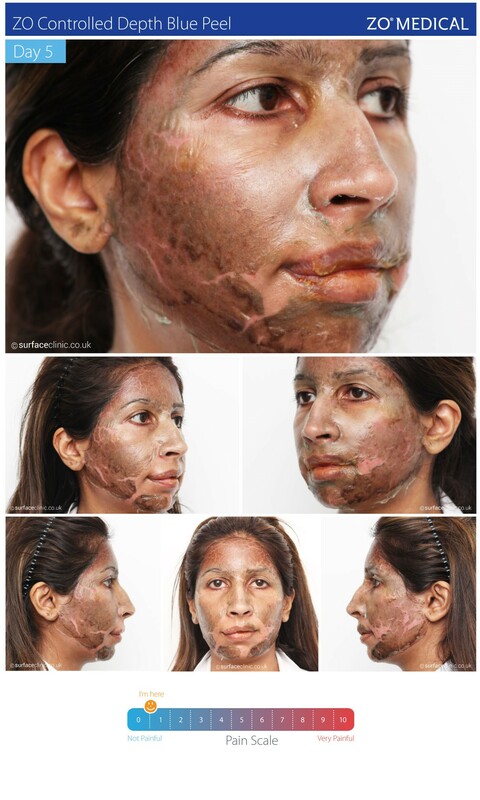 Rukhsana Khan and Rita Poddar have been trained by Dr. Zein Obagi in Beverly Hills and Dr. Sam Van Eeden in the UK. 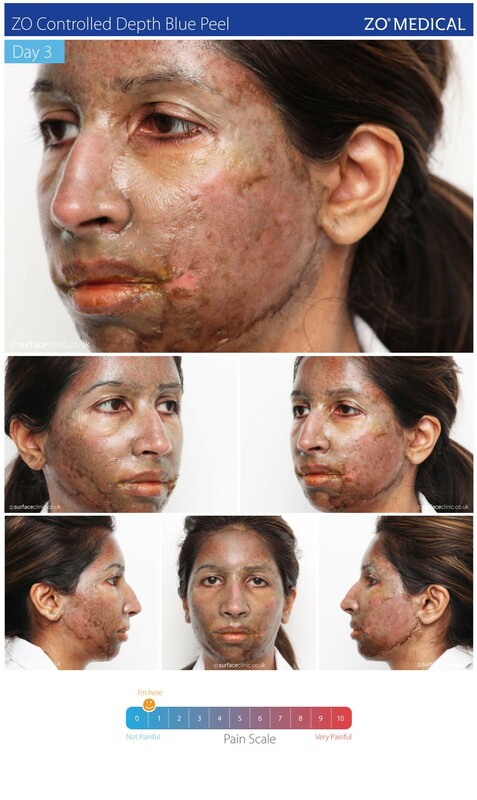 What is the New ZO Controlled Depth Peel? 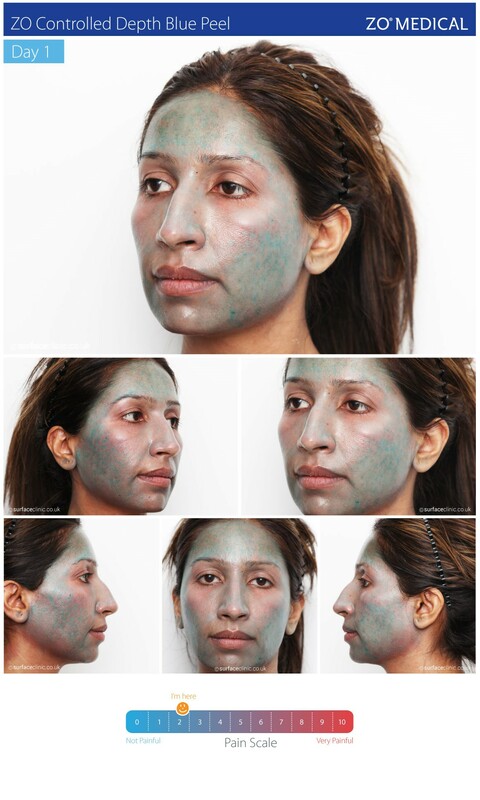 This successor to the original Blue Peel from Dr. Zein Obagi. This peel allows a new layer of undamaged skin with a smoother texture and more even skin tone to emerge. 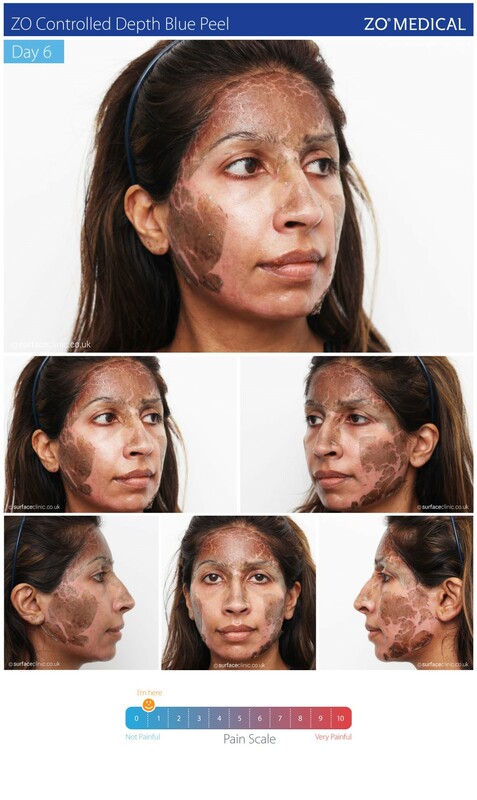 The ZO Controlled Depth Peel is able to reach the deepest skin layers where it stimulates the cells locally. Patients will be treated with a local anesthetic before this peel. The peel has a downtime of 7-10 days, which means your patients will experience redness and flaking during this period. This peel is great for men and women wanting to correct skin problems such as acne scarring, fine lines, wrinkles, pigmentation, tone, skin laxity or poor texture. 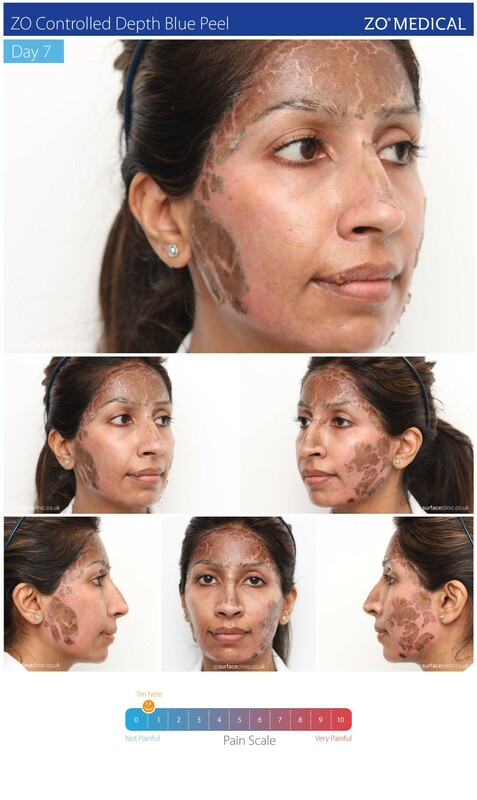 We perform it in-clinic and can customise to your patient’s needs based on their skin type and specific goals. Depending on your personalised treatment, we may perform this peel under conscious sedation to minimise any discomfort during treatment. This skin peel will help to reveal a new and healthy layer of skin with improvements to tone, tightness and texture. You can now offer the New Controlled Depth Peel in your practice via a specialised ZO client referral scheme. This procedure costs approximately £1600 and we offer a professional fee of £150 to the referring clinician for managing the patient’s consultation. This will include taking regular photos and pre/post reviews which we expect the referrer to provide via email. The referring clinician is responsible for prepping patients and prescribing the correct ZO Medical range.